Central Time Zone (-5 hours GMT), approximately 1437 miles NNW of our home QTH in Saint Charles, IL. 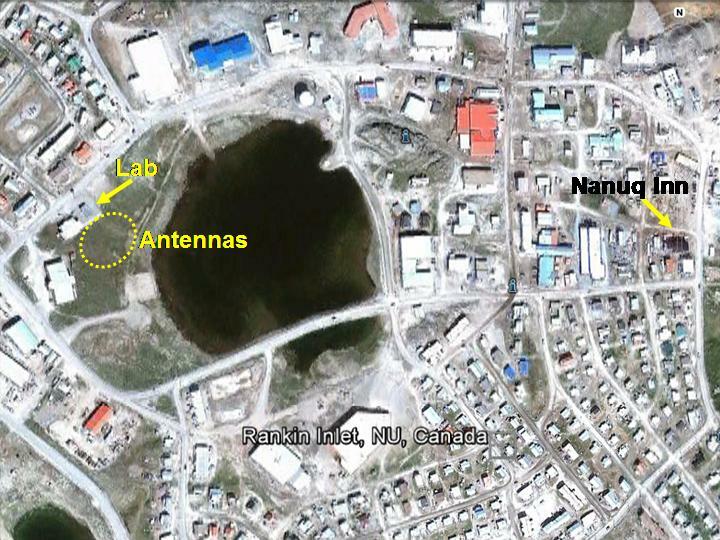 Our radios and antennas (except for a possible 6m beacon and listening post at the Nanuq Inn, will be at the Arctic College Laboratory Building. 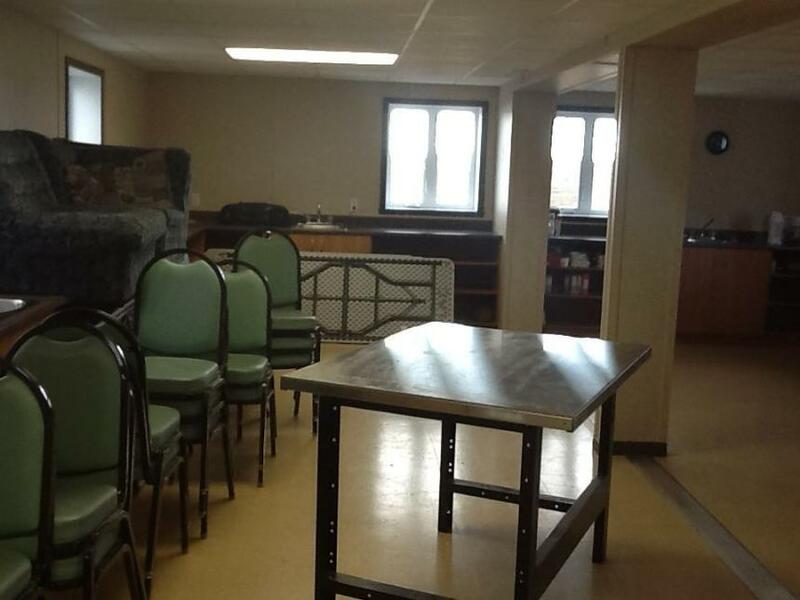 We will have wireless Internet capability and kitchen facilities. 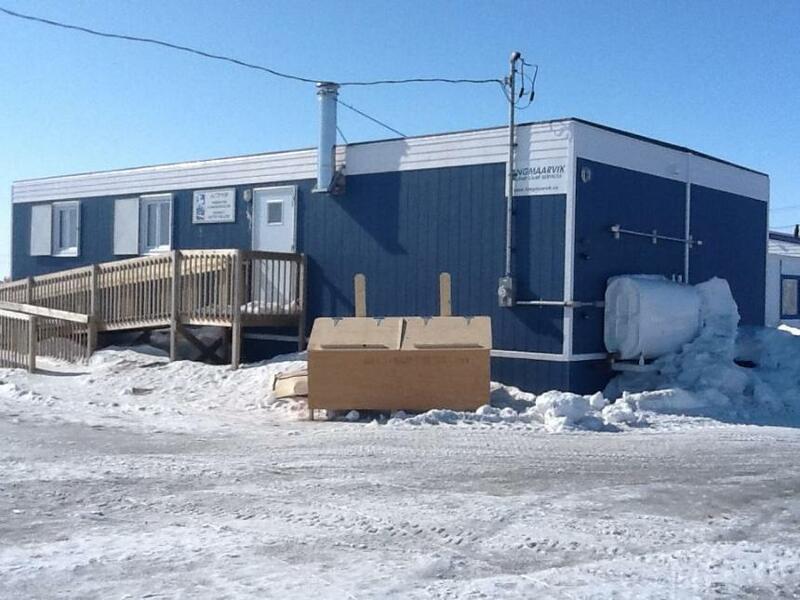 The rear of this Laboratory building is on a hill, has plenty of open land and a view to the South. The Lab will be about a 3/4 mile walk from our living quarters. 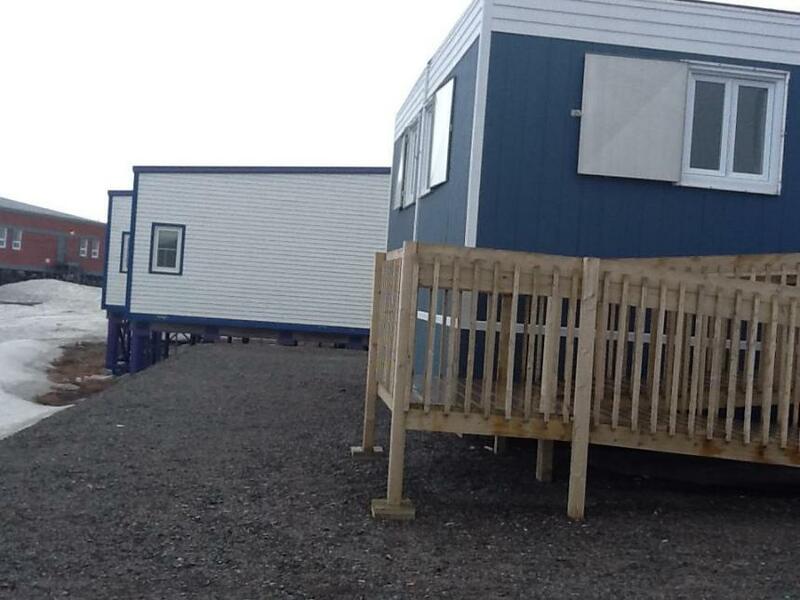 Notice the heavy trash bin to protect against polar bears. The Community Learning Center is just to the West of the Lab and because it has WiFi Internet, we will probably operate there. This is a view of the inside of the Lab. We have not seen the inside of the CLC yet. The snow is melting... This was taken about 10 days before our departure. We can finally see the support legs for the buildings that we will likely use for guy points.